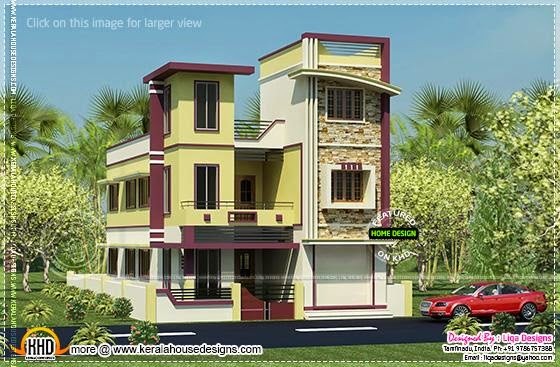 2470 Square Feet (229 Square Meter) (274 Square yards) simple home. Designed by Liqa Designs, Tamilnadu, India. Ground floor : 1125 Sq. Ft.
First floor : 1125 Sq. Ft.
Second floor : 220 Sq. Ft.
Total area : 2470 Sq. Ft.